In brief: While most of us manually overclock our graphics cards to squeeze the most performance out of them, the process can be confusing and potentially disastrous for newbies. But Nvidia and MSI are making things easier by expanding the auto-overclocking OC Scanner feature from the latest Turing cards to Pascal. 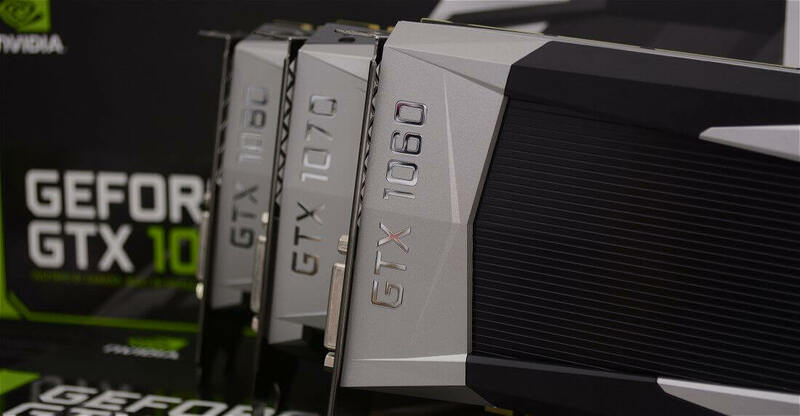 With the release of its RTX 20-series cards in September, Nvidia introduced a one-click overclocking solution that the company said is better tuned for their GPUs, thereby making it more accurate and more reliable. OC Scanner, which is found in overclocking utilities such as MSI’s Afterburner and EVGA’s Precision X1, runs clock speed tests at a range of voltages to find the exact voltage-frequency curve for your RTX graphics card. The feature stress-tests the GPU and can recover from hangs and crashes if things go wrong. Now, OC Scanner is available to owners of Pascal-based (GTX 10-series) cards. It’s initially only available in the latest version of MSI’s Afterburner but expect it to arrive in other overclocking tools soon enough. If you own a Pascal card and want to try out Nvidia’s auto-overclocking feature, you’ll need to download the new beta version of MSI Afterburner (Version 4.6.0 Beta 10). It’s then simply a matter of clicking on the ‘OC’ icon with the magnifying glass in the top left corner and following the instructions. Being a beta version of Afterburner, you might experience some bugs, but everything seems to be working okay for me. It’s worth remembering that your manual overclock could offer better performance than OC Scanner, but it’s worth giving it a try to find out.